Here is a typical dose of denialism, courtesy of commenters at WUWT. Enjoy! May 27, 2013 at 12:41 pm There is more than enough hard science to disprove the alarmists’ arguments and contentions, but this does mean that skeptics should stick to the hard science. Of course there is a greenhouse effect, and it varies by substance – surely nitrogen and oxygen and argon have some greenhouse effect, even if it is tiny relative to, say, water vapor. The Earth is definitely warmer, by about 15 degrees C, than it would be without its atmosphere. False or manifestly incorrect rationalizations by skeptics for rejecting AGW will only provide grist for the alarmist mill. This debate does express a healthy willingness on the part of skeptics to mull over and argue about details, in contrast to the religious, delusional, see-no-evil-hear-no-evil-speak-no-evil dogmatism and stonewalling torpor of the alarmists, and this objectivity and skepticism among skeptics is crucial to differentiating honest science from alarmist charlatanism. However, my concern in this debate is first and foremost that, regardless of different opinions amongst us on details, the skeptic community must be united in its general position that there is no discernible incremental effect on temperatures of increased carbon dioxide in the atmosphere, and that such effect as could ever be identified will be either nugatory or actually beneficial. At no time should we back away from this position. 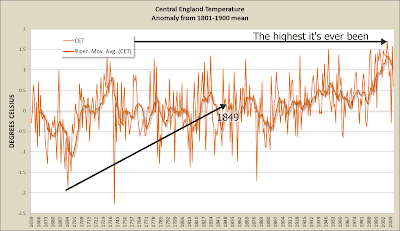 May 30, 2013 at 1:02 pm The fact that there has been no “global” warming can easily be shown and has been overlooked massively. Look at ANY graph of Southern Hemisphere temperatures since measurements began and you will observe NO warming in the SH. see RSS remote sensing graphs. its NOT global. Actually tropics doesnt appear to show warming either (RSS data). Let's see, shall we? This animated chart indicates that RSS, UAH and GISTemp all show the temperature of the southern hemisphere has been going up. June 1, 2013 at 6:31 am Dave says: June 1, 2013 at 6:15 am The problem with Morano is he has no scientific credentials. That makes him the worst possible type of person to personify the skeptical movement.Yes, but the most heard voices in the climate debate are those of the media people. They’ve got McKibben, we’ve got Delingpole, etc. etc. June 20, 2013 at 7:18 am ...Humans are one of the best adapted warm climate animals on the planet. Everything about us is optimized to deal with heat. So long as we have water and shade there is no place on earth too hot for us to survive. Which tells us that conditions where humans evolved were much warmer than where most of us live today. In fact, if you sit naked on the beach in the tropics on the equator at noon under a palm tree and there is a breeze blowing you will be very comfortable. If you try the same thing at midnight and there is a breeze blowing, you will be cold. Even if you come out from under the palm tree and bask in the abundant back radiation. Call me when the oceans are jacuzzi warm. Any exceedence of 35 °C for extended periods should induce hyperthermia in humans and other mammals, as dissipation of metabolic heat becomes impossible. While this never happens now, it would begin to occur with global-mean warming of about 7 °C, calling the habitability of some regions into question. With 11–12 °C warming, such regions would spread to encompass the majority of the human population as currently distributed. Eventual warmings of 12 °C are possible from fossil fuel burning. And if he's ever stuck in the Lut Desert in Iran, or outback Queensland or Flaming Mountain in China, he'd better find some shade and be glad that there is low humidity. June 21, 2013 at 2:31 am I will repeat, for the AGW bletheren. Coal is carbon. It mostly comes from buried plant life. This carbon that was buried is MEANT to be in the atmosphere as CO2. Why does Bob Tisdale even think of communicating science? July 1, 2013 at 5:23 am WHY DO PEOPLE EVEN THINK OF COMMUNICATING CLIMATE CHANGE IF THEY HAVE NO SCIENTIFIC BACKGROUND!! Hmmm...in principle the idea that N2 and O2 have a greenhouse effect is not wrong. It's tiny not just compared to water vapour, but CO2 also. Heck, even tiny compared to e.g. methane. They (N2, O2) do absorb a tiny, tiny amount of IR, so it's not 100% wrong. Argon is a different story. Now, the +15 degrees IS wrong, it's closer to 33. "... you will be cold. Even if you come out from under the palm tree and bask in the abundant back radiation." Under the tree there is more back radiation. I love taking a contra position, but it only makes sense if you know what you are talking about. The non-Apple Woz used the term nugatory. Does that mean he is a fan of Ted Nugent? 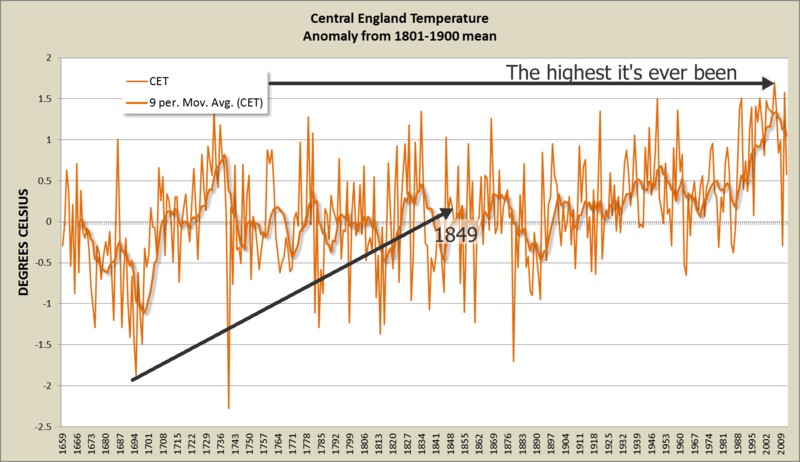 haha have you seen the "Heat Waves Validate the Skeptics" post? I kid you not. I had to do a double a double take. "All heat waves are caused by stationary high pressure systems. The phrase 'Stationary high pressure systems' is different from the phrase 'greenhouse gases'. Therefore heat waves are not caused by greenhouse gases"
Of course a consequence of that is that doubling the output of the Sun would not cause heat waves on Earth because heatwaves are caused by stationary high pressure systems, not the Sun. "At no time should we back away from this position." - Looks like a Heartland leak. [quote]This carbon that was buried is MEANT to be in the atmosphere as CO2. What a stupid comment! it was meant to be in the atmosphere back in it's day, not now! If it is in the ground it needs to stay in the ground! it is a bit like saying all of those people who were once alive, and are meant to be alive should be dug up because that is where they belong! Only sceptics could come up with crap like that! !